There are two foods that have been staples in my life between the ages of 12 to 29)…1) Peanut butter and jelly sandwiches and 2) Mac and Cheese. I’ll post about Peanut butter and jelly at a later date (because I have a theory about that and its complicated). Tonight is about Mac and Cheese. 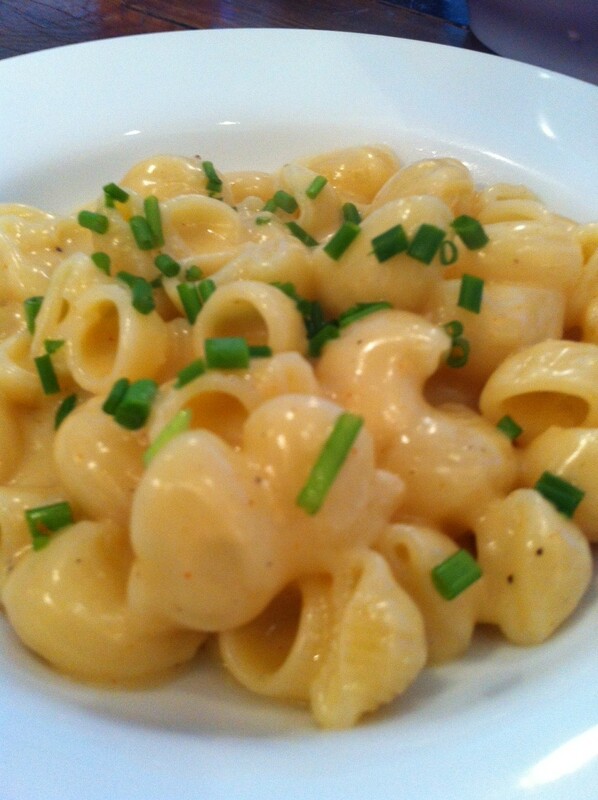 In my opnion my three favorite Mac and Cheese’s around Seattle are 1) Local 360 2) Can Can <– yes Can Can and 3) Beecher’s. I feel like there are many takes on Mac and Cheese but I figured I would try a combo of my two favorites of Beechers and Local 360. I made the roux by adding a stick of butter to sauce pan about half full of water and then started adding flour until the mixture got thick (over a medium heat). Then I started adding shredded cheese (I bought about $20 worth of Beechers Flagship). I added some cayenne and pepper. The cheese sauce’s consistency was perfect. So I thought I was done. I plated over shelled macaroni with a bit of chive and done! When I’ve made macaroni and cheese, there has always been an additional step where it’s baked in the oven for a bit and I would definitely say use milk instead of water.